It's not called the Entertainment Capital of the World for nothing. From shows to concerts, sporting events to dancing fountains; there's an experience for everyone - every day. Standing on the sidewalk of congested Las Vegas Boulevard in 115-degree heat may seem like a bad idea, but once the music begins and the Bellagio Hotel and Casino fountains start shooting into the air, all that noise and commotion fade away. 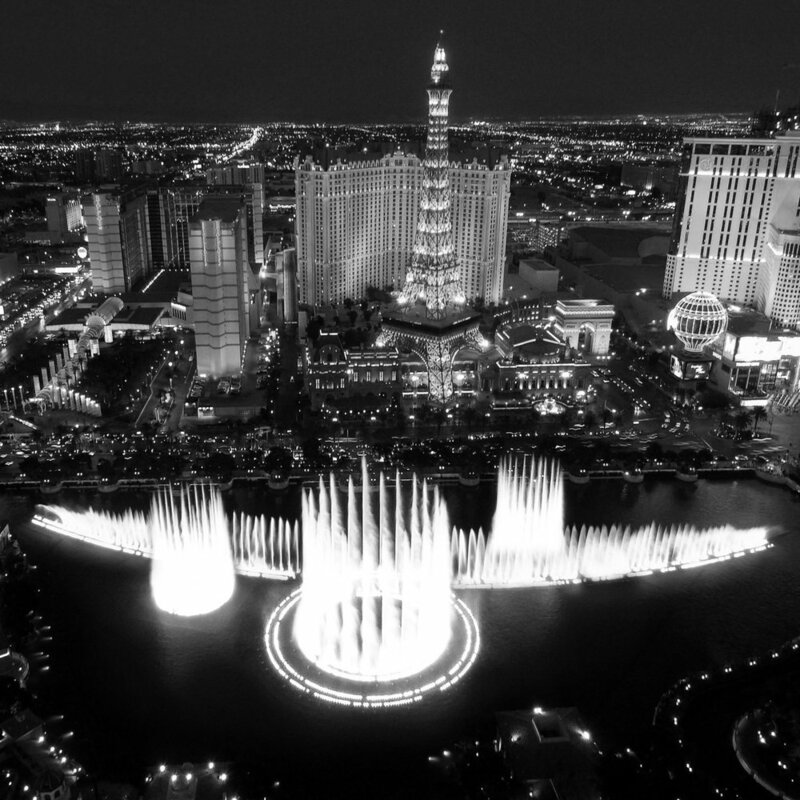 More than 1,000 water fountains are positioned within Lake Bellagio, and each of them “dances” in step with the song (be it a pop, Broadway, classical, or rock music hit). TRecently named by Las Vegas Weekly “#1 greatest show in Las Vegas history”, Absinthe is the provocative variety show which delivers that ‘only in Vegas’ experience you are looking for. A fantastical blend of carnival and spectacle, featuring wild, outlandish acts and outrageous comedy performed on an intimate, circular stage for close-up action. Hosted by the filthy rich (and just plain filthy) Gazillionaire and inspired by cabarets of late 19th century Europe, Absinthe is an intoxicating cocktail of circus and burlesque. This racy, adults-only show is definitely not for timid audiences; like an R-rated movie, but with more glam and laughs. Journey on a trip to a new dimension of entertainment with Opium, the new show at The Cosmopolitan from the creators of Absinthe. What is Opium? It’s fast, funny and funky. Completely off the planet. Slip through the crack in the space/time continuum for a close encounter with a spaceship of fools. The glory of battle, the rush of victory. Gravity defied, enemies confronted, noble combat becomes acrobatic. War has never been fought this way. A colossal, moving stage is the battlefield. Up is down, land becomes sky. These dimension-bending confrontations redefine what it means to fight. Bodies full of strength, glowing with light and heat. Minds as bright and clear as the vast heavens, the great ocean, and the highest peak. Determination is the path, victory the reward. Dare to be part of the battle with Cirque du Soleil's Ka. A celebration of the infinity and elegance of water, Cirque du Soleil’s phenomenal ‘O’ combines street performances and lavish operas to create a stunning production that leaves you in awe. An international cast of world-class acrobats, synchronized swimmers and divers perform in, on and above water in a custom-designed theater for this truly unique and watery spectacle. The energy and atmosphere in this arena is through the roof. The Golden Knights took the NHL by storm this year, becoming the first team since 1980 to make it to the playoffs in their inaugural season. Unsurprisingly, their games are one of the hottest tickets in town. Get group seating and catch a match between the startup hometown team and its visiting rivals. When it comes to events, we like to go all out. We're not just talking front-row seats or 30 second meet & greets; we're talking more like going behind-the-scenes and hanging with the pros. Access is limited so act decisively if you wish to secure access.